Last night Mr. Jean of all Trades and I went to Neighbours Nightclub to see fellow Seattle blogger, Jessica of Jump Into Puddles, model in the eco-friendly edition of the Chance Fashion show. 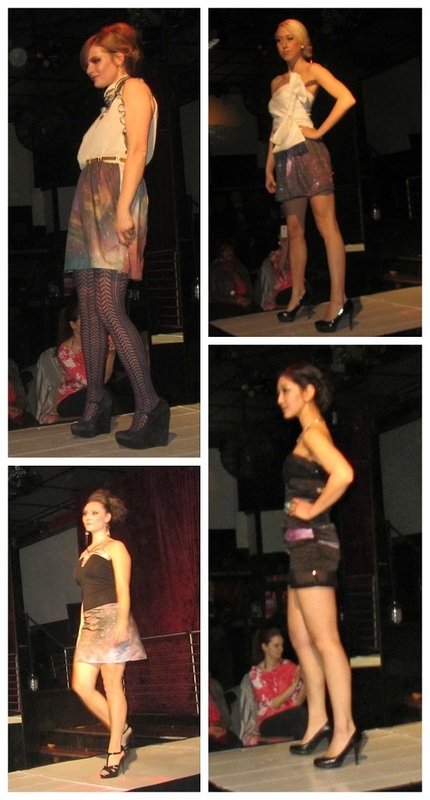 Every month, Chance Fashions hosts a show that focuses on a theme. It could be anything from menswear to swimwear. Eco-friendly was this month’s theme. First up was Genius Threads, a Florida-based line that reconstructs clothing and gives them new life. You can see the cute button-up skirts used to be men’s shirts. Genius for sure! Did you notice Jessica in the upper left, strutting her stuff as she walks away? She did a great job modeling the clothes, even though my camera had a hard time capturing the action. Next up was Epiphany Rose, a local designer with a theatrical and cosplay focus. 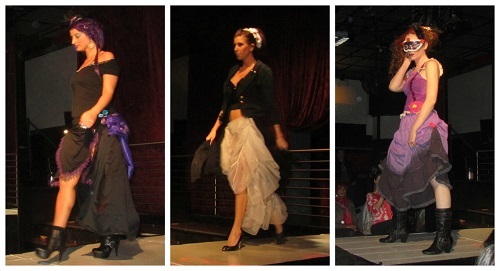 Lastly, Paper Dollz, another Seattle designer, showed us her upcycled thrift-store-turned-couture apparel. Jessica is in the lower-right frame below. The show was a lot of fun and it was great to meet another blogger in real life. Thanks to Jessica for inviting me. I’d never heard of the monthly event and thanks to her, I now have another fashion venue on my list of things to do. Hey I’m in this! Ha ha thanks again for coming out you did a great job with the pics!! You’re welcome! Thanks for inviting me or I wouldn’t have known about the show. Your comments went into my spam folder but I got them now! How cool! Looks like some creative styles and I do love a good fashion show. Go, Jessica!!! It was a lot of fun and yes, go Jessica! I loved the shirts-turned-skirts. I love that eco-friendly fashion is getting good notice- great post! Thanks! I agree. 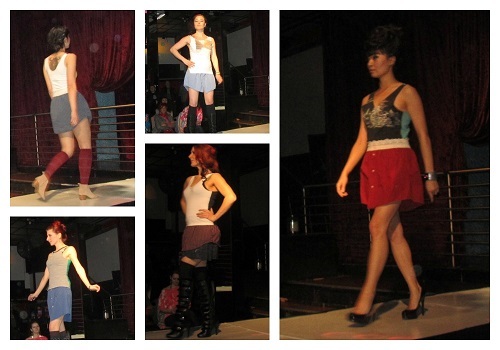 It was great to see upcycled and repurposed clothing looking so great!